AFV training schedule: The National Alternative Fuels Training Consortium (NAFTC) has released its fall alternative fuel vehicle training schedule ideal for professionals serving the clean transportation space – including service technicians, fleet managers, municipalities, and consumers interested in learning about alternative fuel vehicles The schedule includes courses for automotive technicians, including Light-Duty Natural Gas Vehicle Training, Compressed Natural Gas (CNG) Vehicle Fuel System Inspector Training, and Electric Drive Vehicle Automotive Technician Training. The schedule also includes the Hydrogen, Hydrogen Vehicle, and Hydrogen Fleet Awareness Workshop. All classes feature a combination of classroom and hands-on training and will be held at the NAFTC headquarters in Morgantown, WV. Continuing Education Units from West Virginia University are available for all training classes. Mcity seeing investors: Ford, General Motors, Honda, and Toyota are among the companies each investing $1 million over three years in the University of Michigan’s Mcity. This testing ground if considered to be the first controlled environment specifically designed to measure the potential of connected and automated vehicle technologies that will lead the way to mass-market driverless cars. Thirty-three Affiliate Members are also contributing, and investing $150,000 over three years, to the University of Michigan’s Mobility Transformation Center. Current Leadership Circle companies are: Delphi Automotive, Denso, Econolite Group, Ford, GM, Honda, Iteris, Navistar, Nissan, Qualcomm Technologies, Robert Bosch, State Farm, Toyota, Verizon Communications, and Xerox. China following California: China has been learning lessons from government policies in California to encourage automakers and consumers to purchase plug-in electric and hybrid vehicles. China’s program will extend incentives for hybrids, which had been downplayed due to the strong presence of Japanese automakers like Toyota in that market segment. Chinese carmakers such as BYD Co and SAIC Motor Corp. will benefit, but so will global rivals on a more level playing field. GM investing $5B: General Motors will be spending $5 billion over the next decade on a new family of Chevrolet models aimed at emerging markets such as China, India, Brazil and Mexico. Most will be small cars but may include crossovers. “This new vehicle family will feature advance technologies focused on connectivity, safety and fuel efficiency delivered at a compelling value,” said Mark Reuss, GM executive vice president. EPA certification: The U.S. Environmental Protection Agency (EPA) has certified Blossman Services’ propane-autogas-powered Ford Transit van. Blossman upfits the Transit with a Prins bi-fuel VSI 2 system with Ford’s 3.7-liter V-6 engine.The bi-fuel system is designed to cut installation time in half and ensure consistent performance, says Alliance AutoGas, which is managed by Blossman Gas. Prius Plug-In range extension: Editors at Green Car Reports have recently heard from an industry source that the next Toyota Prius Plug-In Hybrid will have “30 to 35 miles” of rated battery range. The fourth-generation 2016 Prius hybrid is expected to launch within the next few months. 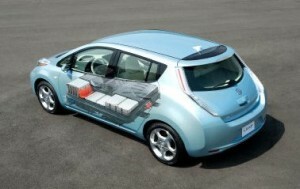 The company has said that the plug-in hybrid version will lag the conventional hybrid model by about a year. EVs vs. hydrogen: A recent Green Car Reports article dealt with hydrogen fuel cell car drivers being frustrated with the unreliability of current hydrogen fueling stations in Southern California. That story has accumulated more comments than any other article published in Green Car Reports, with about 2,000 coming in by the end of the day. Opinions expressed by electric vehicle (EV) advocates were similar to public comments made by Tesla Motors CEO Elon Musk; they disdain hydrogen fuel cell vehicles and think there’s been way too much attention on that technology and fuel this year. Drivers of hydrogen-powered cars tend to be just as, or more, passionate about the topic as EV drivers – but their numbers are so far much smaller. NGV refueling stations: Navigant Research expects to see huge growth in global natural gas vehicle (NGV) refueling stations – from 23,001 this year to 38,890 in 20205. A large drivers of this trend will be fleets making NGV acquisitions. “As fuel economy and greenhouse gas emissions standards become increasingly stringent in world markets—particularly for medium and heavy duty vehicles (MHDVs), where electrification is less practical— (natural gas) is becoming an attractive alternative to diesel,” the study says. Apple buying technology from BMW? : German business magazine Manager has reported that Apple proposed to BMW that the i3 – or parts of it – could form the basis of Apple’s own electric-car project. Apple had no comments to make, and has been staying in secrecy about its plans to enter the automotive industry as a manufacturer. Coal-powered plants: The U.S. Energy Information Administration predicts that coal’s share of U.S. electricity generation will decline from 44% in 2011 to 32% in 2040. Most of these coal-powered plants are located in or near Virginia, West Virginia, Kentucky, Ohio, and Indiana, which are accounting for 8GW of the expected retirements. The rest of the 13-GW total will include plants in Alabama and the Midwest. Nissan Leaf class-action suit settled: Nissan has reached a settlement agreement over the class-action lawsuit filed in 2012 claiming Nissan was not accurately reporting the real-world range of its Leaf lithium-ion batteries in its advertising. That class-action suit had started up in 2012 on behalf of all Leaf owners in Arizona and California; previous settlements had not closed the case, but now it appears all parties have agreed to the final settlement. Under the new terms, Nissan will have to replace battery packs with updated versions identical to those used in the 2015 Leaf, which use a newer and more heat-tolerant cell chemistry. The automaker will no longer have the option to repair a battery pack that shows less than nine “bars” of indicated capacity on the dashboard gauge. Nissan will also provide 90 days offree access to DC fast-charging through its EZ Charge card program, where users can access stations within the NRG eVgo, AeroVironment, and Car Charging Group networks. Renewable natural gas (RNG) continues to see more acceptance and adoption as a viable clean transportation option. The City of Santa Monica’s Big Blue Bus (BBB) announced that it has become one of the country’s first municipal transit authorities to convert its fleet to renewable natural gas (RNG), rated 90% cleaner than diesel and is considered the cleanest transportation fuel available. 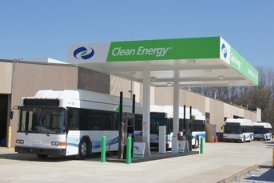 The transit agency is transitioning its buses using liquefied natural gas (LNG) over to RNG through Clean Energy Fuel Corp.’s Redeem renewable LNG, which is non-fracked methane harvested from organic waste in landfills. With that decision, BBB unveiled a new ad campaign called “Bigger, Bluer, Skies” to emphasize the lower emissions and sustainability of this type of fuel. The city council supported using a more sustainable product at an equal cost, said BBB’s Transit Director, Ed King. Incentives not Fees: Automakers would prefer to see federal and state governments offer more incentives for electric vehicle (EV) purchases rather than higher vehicle registration fees. In a letter last month to Senate Majority Leader Arlan Meekhof, the Alliance of Automobile Manufacturers said lawmakers should be offering incentives instead raising fees, since incentives encourage purchases and fees tend to discourage them. The alliance represents a dozen global automakers, including the Detroit 3. The alliance is lobbying against efforts to have extra fees, which go up to $100 for EVs, going toward a $1.5 billon road funding plan. Argonne study on dual-fuel vehicles: Ford Motor Co. and FCA US have partnered up with the US Dept. of Energy’s Argonne National Laboratory to study the benefits of dual-fuel vehicles such as natural gas and gasoline. The study aims to understand potential benefits and demonstrate targeted blending of gasoline and natural gas in an engine that uses half as much gasoline and shows a 10% increase in overall efficiency and a 10% improvement in power density. Sierra Club site shows EV incentives: Interested in finding out about all the incentives available in your state to purchase electric vehicles (EVs) and chargers? Then visit the Go Electric campaign site operated by Sierra Club. The Sierra Club has launched the national campaign to promote EVs as a way to slash pollution, reduce our dependence on oil, create American jobs, and improve national security. “Pick a Plug-In” helps consumers look at EVs available on the market that will fit best with their specific driving needs. 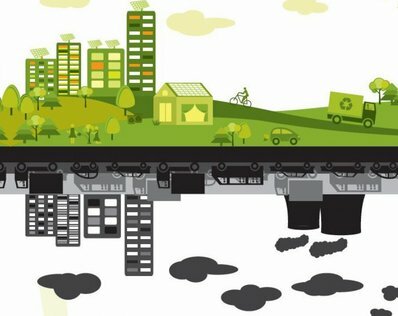 Much better roads: A small company in the Netherlands offers PlasticRoad, which replaces conventional asphalt and concrete with prefabricated roads made out of recycled plastic. The city of Rotterdam has been impressed enough to consider using the material in a pilot “street lab” project to see whether it can hold up to daily urban driving. The PlasticRoad materials could last as much as three times longer than conventional pavement and withstand temperatures ranging from -40 to 176 degrees Fahrenheit. Biofuels Bonanza: More news and reports came out…… China and India could play increasingly important roles in the development of the biofuels market going forward, according to a Wall Street Journal DuPont will license its biofuel technology to China’s largest cellulosic ethanol manufacturing plant. The licensing agreement will provide DuPont’s cellulosic ethanol technology and use DuPont Accellerase enzymes to produce renewable biofuel from the leftover biomass for the Chinese company. As for the U.S., only seven states–Louisiana, Minnesota, Missouri, Montana, Oregon, Pennsylvania, and Washington – have mandates that require ethanol to be blended in their state fuel supply. But new research appears to show that pure gasoline – known as G100 or E0 – is more corrosive to various engine parts than is E10. Boston works with Waze: Real-time traffic data company Waze has partnered with the city of Boston to learn more about an annoying source of traffic slowdowns – double-parked cars. A team from the city’s Transportation Dept., the Dept. of Information Technology and Boston’s New Urban Mechanics group analyzed three months’ worth of citizen-reported data from Waze to find streets most likely to have double-parked and illegally standing cars. When the worst parts of the city were identified, additional bike-riding parking enforcement officers were deployed to those areas to get the double-parked cars to move. 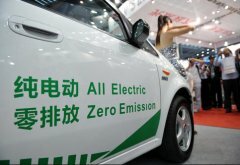 China ramps up EV production: As part of the Chinese government’s “new energy vehicles” mandate to reduce air pollution, automakers are ramping up production of plug-in electric vehicles. According to statistics published by the Ministry of Industry, vehicle manufacturers produced 25,000 new-energy vehicles in June. The growth rate is exceeding what’s being produced in Japan and the U.S. In June,10,500 battery-electric and 6,663 plug-in hybrid passenger cars were manufactured, along with 6,218 battery-electric and 1,645 plug-in hybrid commercial vehicles. That production figure has shot up in recent months, with June seeing about one-third of the total 78,500 plug-in EVs built in China for the first half of 2015. The Chinese government’s data also includes low-speed, neighborhood electric vehicles. The question becomes: Will consumers and fleets buy them? Incentives have been strong in China, but purchasing new energy vehicles has not yet made it to the level the Chinese government and auto industry has hoped for. EV charging had an interesting week with three announcements: One was from Hyundai-Kia’s U.S. technical center, which is teaming up with Mojo Mobility Inc. to develop a high-speed wireless charging system. That is being supported by a $6 million grant from the U.S. Dept. of Energy’s Office of Energy Efficiency and Renewable Energy to complete the project, which will be tested on the 2015 Kia Soul EV. On the open standards side of charging, Greenlots is working with Kia Motors to expand public-access DC fast chargers in California, Texas, Georgia, Oregon, and Washington. This second rollout brings over 30 additional DC charging stations to 21 Soul EV-certified Kia dealers, Greenlots said. And being open sourced, the site host can choose the hardware that’s perfectly suited to his or her application. For those interested in studying pricing on chargers, ChargePoint Home is rolling out a new home charger that will be available later this summer via Amazon for prices ranging from $499 to $749. Westport adding propane to F-150s: Westport Innovations announced that it has added a dedicated propane autogas system for the 2016 Ford F-150 powered by the 5.0L V-8 engine. The propane-powered pickup joins the compressed natural gas package as part of the Westport Wing Power System. The company expects both systems to receive certification by the US Environmental Protection Agency and the California Air Resources Board. BorgWarner buying Remy: Tier One automotive supplier BorWarner Inc. is investing nearly a billion dollars to acquire another supplier, Remy International Inc. The $951 million in cash acquisition highlights the increasing importance of the electrification of the powertrain, which has not been a strength for BorgWarner, CEO James Verrier said. Remy is well known in the industry as a maker of electric hybrid motors, turbochargers, and transmission parts. While hybrid sales are down this year, not all of the major automakers and suppliers are pulling out of that market. Navy leasing EVs: The U.S. Department of the Navy will be leasing somewhere between 300 to 600 passenger electric vehicles (EVs), with an initial focus on its sedan fleet; these will be used at various Navy and Marine Corps installations within California. The Naval Facilities Engineering Command is holding a forum for discussion with industry partners. The event will be held on July 21 from 2:00 p.m. to 5:00 p.m. at the California Environmental Protection Agency’s headquarters building in Sacramento. Topics to be discussed will include EV leasing, warranties, maintenance, liabilities, charging infrastructure support and other issues. Waze offering carpooling mobile app: Waze, a popular driving direction mobile application owned by Google, has launched a new mobile app called RideWith for those interested in carpooling. It’s getting a trial run in Israel near Tel Aviv. RideWith pairs commuters looking for a ride from home to work, or vice versa, with drivers using Waze going in the same direction. This new product brings up the topic of ridesharing, where riders using Uber and Lyft can save money sharing that technology, and that ride, with another passenger. EVs and the Grid Summit: 2GreenEnergy Editor Craig Shields attended the EVs and the Grid Summit in Los Angeles last week. 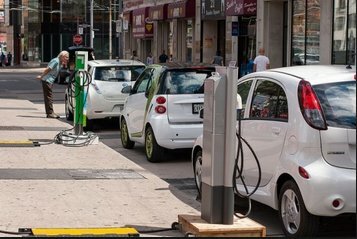 The symposium on V2G (vehicle to grid) analyzes what electric vehicle (EV) charging means for a grid within a certain region during peak periods and all that goes with it – such as potentially discharging EVs that have extra charge to spare. Shields says that these questions have been coming up since he first started attending similar events in the 2008-timeframe – but there’s no clear answer yet. He does make a good point on the benefits of having a plug-in hybrid electric vehicle as a backup power source for five-to-six days in the event of a power outage. Golf TDI gets high mileage: For those interested in considering an internal combustion engine (ICE) vehicle instead of an alternative powertrain to reduce fuel consumption, you might want to consider the 2015 Volkswagen Golf TDI clean-diesel car. It got 81.17 mpg during a road test across 48 states that set a Guinness World Records achievement for non-hybrid fuel economy. Drivers traveled 8,233.5 miles in 16 days during the trip. The previous record in this test program for a clean diesel was 77.99 mpg, and the hybrid record is 74.34 mpg. Eco-benefits of driverless electric taxis: Researchers at Lawrence Berkeley National Lab in California see real environmental benefits coming from driverless cars. If a fleet of autonomous electric taxis were to replace everyone’s gas-powered, personal cars, we could see more than a 90% decrease in greenhouse gas emissions and almost 100% decrease in oil consumption from cars. Given that highly lofty goal won’t be happening anytime soon, what about more realistic transportation alternatives? A fleet of driverless electric vehicles (EVs) about 15% of the size of all private cars could service the same population, if scheduled correctly, estimated Jeff Greenblatt, co-author of the study. The cost savings would be there – even if an EV were to cost $150,000 up front, the study researchers say that an autonomous EV that could drive 24/7, not require a salary, and uses no gasoline would pay for itself in less than five years. Plus in this week’s Green Auto Market Extended Edition: Three companies have been added to the list of Clean Transportation Publicly Traded Companies that’s featured monthly in the Extended Edition…… Plug Power: Best known for manufacturing hydrogen fuel-cell forklifts, Plug Power is prominent in the fuel cell market with its strategic alliances. Indoor forklifts was the company’s first viable market with customers such as BMW, Mercedes, WalMart, Kroger, and Whole Foods. Renewable Energy Group: A leading North American producer, REG converts natural fats, oils, and greases into advanced biofuels (primarily biomass-based diesel) and converts diverse feedstocks into renewable chemicals. Vivint Solar: Part of the Vivint holding company best known for home security and smart control panels, Vivint Solar went public in 2014 and is No. 2 in the US solar energy market behind SolarCity. For those interested in subscribing to Extended Edition, read all about it. 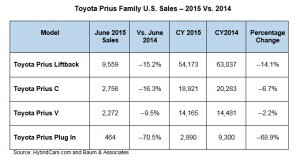 Hybrid and EV sales: Both hybrid and electric vehicle (EV) sales are off the path of typical seasonal patterns – down from May but also down from the previous year. 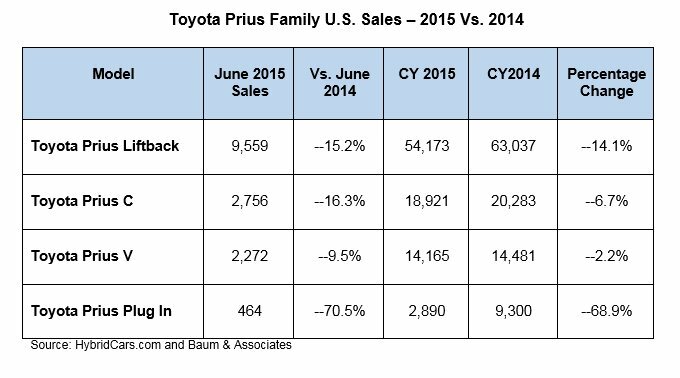 Hybrid sales were down 17.6% from June 2014 and EV sales were down 9.6% from that time period. That’s taking place while the overall new vehicle sales market is down from May (a normal seasonal pattern) but up nearly 4% from the previous year. Gasoline prices have come up, but not enough to spur more interest in these vehicles, along with small and fuel-efficient cars. Some models are seeing high growth rates despite the market conditions. The Tesla Model S more than doubled in sales from June 2014, while the BMW i3 saw more than 50% in sales volume increase during that time. The Hyundai Sonata hybrid is seeing very strong sales numbers. Other models have seen large drops since last year, including the Chevrolet Volt, Ford Fusion Energi, and Toyota Prius Plug-in. With new versions coming out in the 2016 model year, the Volt and Prius Plug-in are expected to stay down through this year. As for the overall average fuel economy of new vehicles sold in the U.S. in June, it came to 25.4 mpg – down 0.1 mpg from May. This decline likely reflects the increased sales of light trucks and SUVs in June, according to the University of Michigan’s Transportation Research Institute. BP oil spill: More than five years after its massive Deepwater Horizon oil spill in the Gulf of Mexico, BP Plc has finally settled its agreement on federal and state claims – for a record $18.7 billion. Three anonymous people close to the matter said that BP’s campaign to fight these claims in court following the collapse of negotiations in 2013 finally ended with the settlement. Sources said that both falling oil prices and a federal judge’s recent rulings putting a potential $13.7 billion penalty on Clean Water Act violations helped motivate BP to change its tactics. BP has time to pay it off – once the agreement becomes finalized, payments could be spaced out over an 18-year span. CARB approves funding: The California Air Resources Board approved a $373 million funding plan for advanced technologies in fiscal year 2015-16, from zero-emission heavy-duty trucks and buses to rebates for low- and zero-emission passenger vehicles. That total is up by $150 million over last year’s budget. $350 million of the total comes from the funds in the state’s Greenhouse Gas Reduction Fund dedicated to low-carbon transportation investments. An additional $23 million comes from the Air Quality Improvement Program under AB 8. $200 million will be dedicated to light-duty vehicles, including the Clean Vehicle Rebate Project, which offers incentives for the purchase of zero-emission vehicles. $167.5 million will be dedicated to heavy-duty vehicle and freight-equipment projects, including vouchers to help support the purchase of hybrid and zero-emission trucks and buses. The remaining $5.5 million is held for administrative overhead and a reserve. Connecticut EV rebates: The state of Connecticut has paid out or committed to pay more than $131,250 in state rebates to consumers who’ve purchased or leased electric vehicles (EVs) since May 19. The $1 million program was created by Gov. Dannel Malloy’s administration. Rebates are offered at three levels, from $750 to $3,000 depending on the type of vehicle. Under the Connecticut Hydrogen and Electric Vehicle Purchase rebate, consumers can receive cash rebates of up to $3,000 for purchasing or leasing eligible battery electric, fuel cell, and plug-in hybrid vehicles; there are 67 eligible vehicles included in the program. Tesla Q2 earnings: Tesla Motors’ second quarter earnings increased 52%, which gives the company momentum prior to the launch of its Model X crossover model in September. Tesla sold 11,507 Model S electric sedans for the quarter that ended June 30, which set a company sales record. Dan Galves, an equity analyst with Credit Suisse, had correctly forecasted the higher-than-expected sales. He raised his price target on Tesla stock from $290 to $325. CALSTART has welcomed two new board members: Donna DeMartino, General Manager/CEO at San Joaquin Regional Transit District (RTD), and Dr. Jeffrey Reed, Director Business Strategy and Technology Advancement for Southern California Gas Company. DeMartino helped champion the first deployment of zero emission transit buses in the San Joaquin Valley. 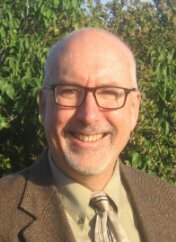 DeMartino was appointed RTD’s General Manager/CEO in 2001 and currently serves as the Chair of the California Transit Association’s Executive Committee. Reed leads development of business strategies and initiatives aimed at supporting the development and deployment of sustainable energy solutions and leads the natural gas RD&D, energy efficiency technology, and venture investment programs. He has also led numerous company initiatives related to renewable and low-carbon energy technologies and policy. United Airlines investing in sustainable fuels: United Airlines has made a $30 million equity investment in US-based alternative fuels developer Fulcrum BioEnergy, which turns municipal solid waste into low-cost sustainable aviation biofuel. United also has a long-term supply agreement with Fulcrum with the opportunity to purchase at least 90 million gallons of the fuel for a minimum of 10 years at a cost competitive with conventional jet fuel. 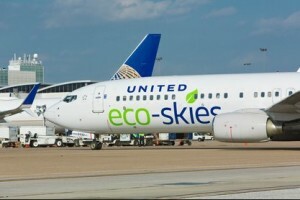 In addition to the equity investment, United and Fulcrum have entered into an agreement that contemplates the joint development of up to five projects with the potential to produce up to 180 million gallons of fuel per year. BMW going for it with plug-in hybrids: BMW is expected to roll out four more plug-in hybrids that follow its recently launched BMW i8. Plug-in hybrid versions of the BMW X5, 2 Series Active Tourer, 3 Series, and 7 Series are on the list. This falls in line with meeting stringent emissions targets in Europe and the US, and committing to the company sustainability targets. Performance will also continue: BMW’s plug-in hybrid drive line offers xDrive all-wheel drive, which is automatically activated when the system recognizes certain road conditions. The combined output is 220-horsepower with 284 pound-feet of torque, allowing the car to accelerate from 0-62 mph in about 6.5 seconds. Toyota Mirai gets EPA ratings: The U.S. Environmental Protection Agency (EPA) has rated the 2016 Toyota Mirai hydrogen fuel cell vehicle at 67 mpg gas gallon equivalent (GGE) and 312 miles range. “Mirai is the only zero emission electric vehicle on the market that tops the 300 mile range milestone,” according to Toyota. The 2014 Honda FCX Clarity is rated 59 mpg GGE combined, 58 city, 60 highway. The 2016 Hyundai Tucson is rated 50 mpg GGE combined, 49 city, 51 highway. Uber wants driverless Teslas: Uber not only wants to bring ridesharing to cities around the world to reduce traffic and smog – now the company also wants to bring in driverless Teslas. Steve Jurvetson, an early Tesla investor and board member, heard Uber CEO Travis Kalanick make comments on it at the recent Top 10 Tech Trends dinner hosted by the Churchill Club in San Jose, Calif. If Tesla can build a fully-autonomous car by 2020, Kalanick says his company would buy every one Tesla builds. That probably won’t go over too well with Uber drivers who transport customers around in their own cars, and which Uber is very dependent upon to generate revenue.